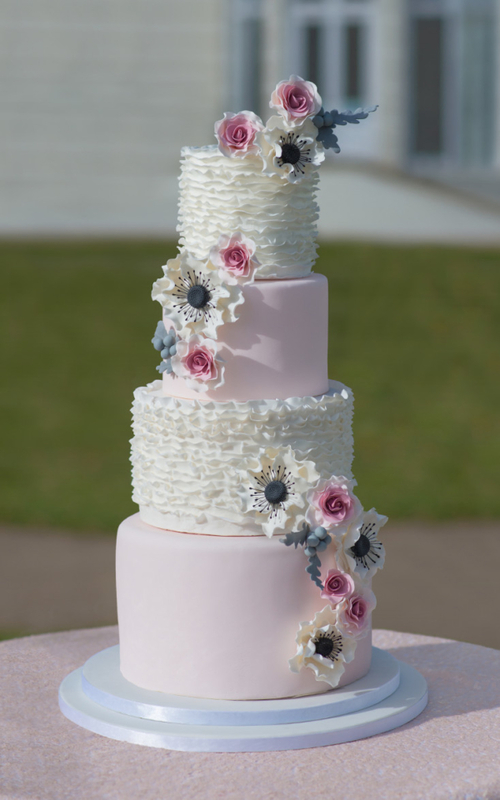 Ruffled anemone pink wedding cake – Stylish four tier wedding cake in a subtle shade of dusky pink. Delicate frills are intricately layered to create this elegant modern design. 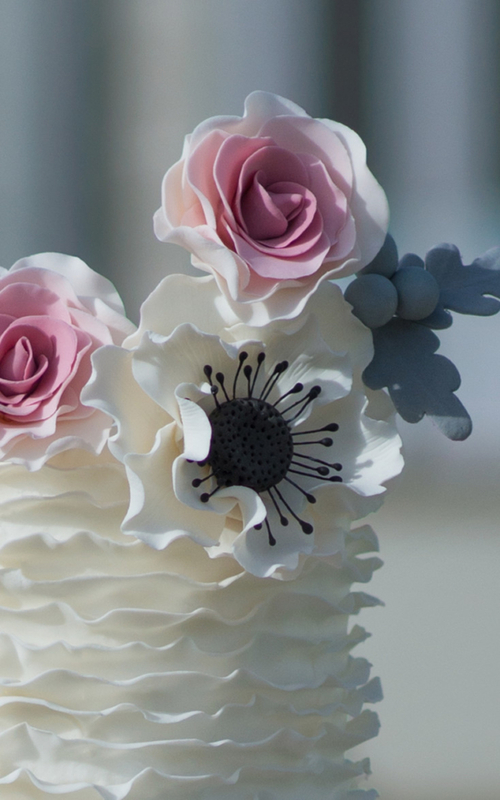 When light hits the cake an ethereal glow will add to the overall effect, highlighting the hand crafted detail. 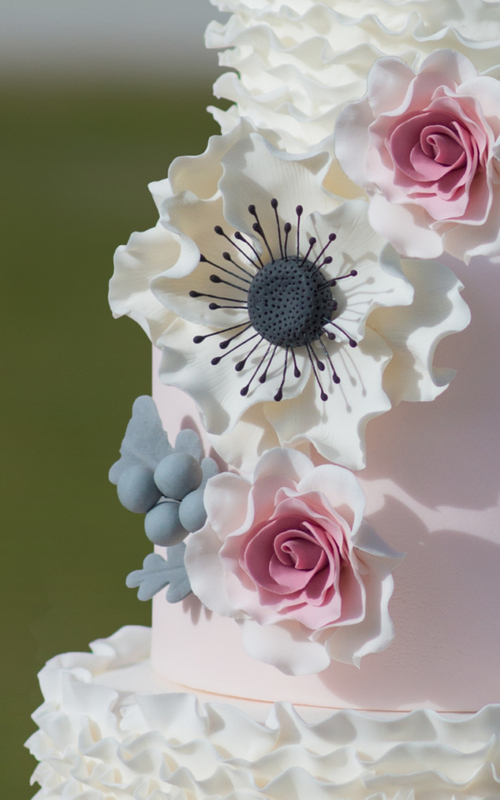 Cascading Anemones, Roses and Dusty Miller add a stunning final touch.